This set is composed of one bath towel and one hand towel. This set is a garnet and grey gamecock and black towel. 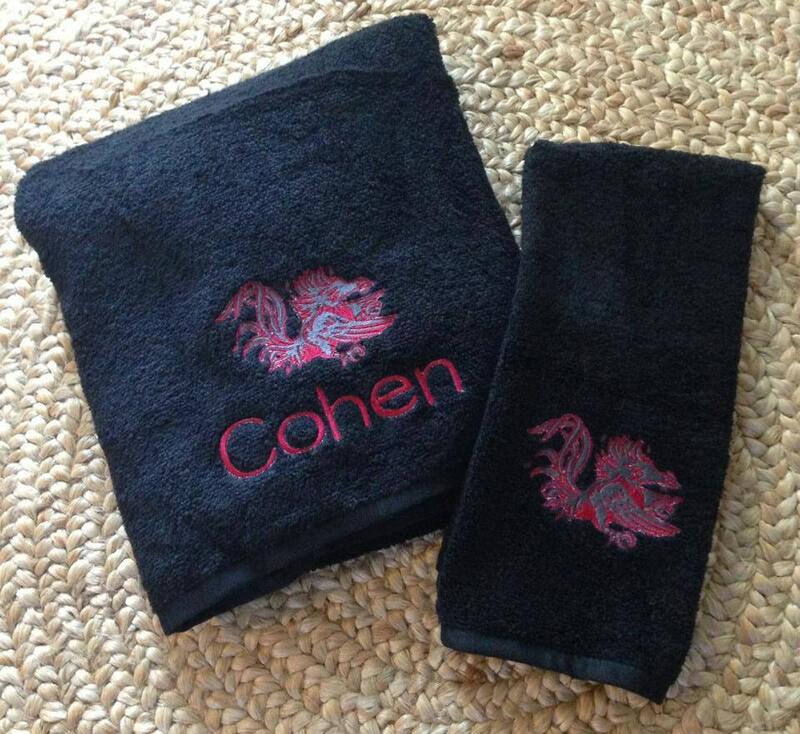 You can request a different color towel set if desired. I can also do a garnet/white gamecock if desired.